Today marks the Year of the Pig for over 20% of the world’s population celebrating Chinese New Year, also known as Spring Festival. It’s a significant festival celebrated throughout the world which will see billions of red envelopes exchanged and 16 days’ worth of celebrations until the night of the full moon, when lanterns will be floated in rivers, and fireworks will explode in the night sky. So why is this relevant to our Retail Hive members here in the UK? But beware, there are challenges – as Burberry recently experienced after their Chinese New Year campaign came under criticism for failing to reflect the values of luck, celebration and joy usually related to the New Year festival- it is imperative brands fully immerse themselves in the local market if they are going to make a positive impact and build trust and engagement with their new consumers. 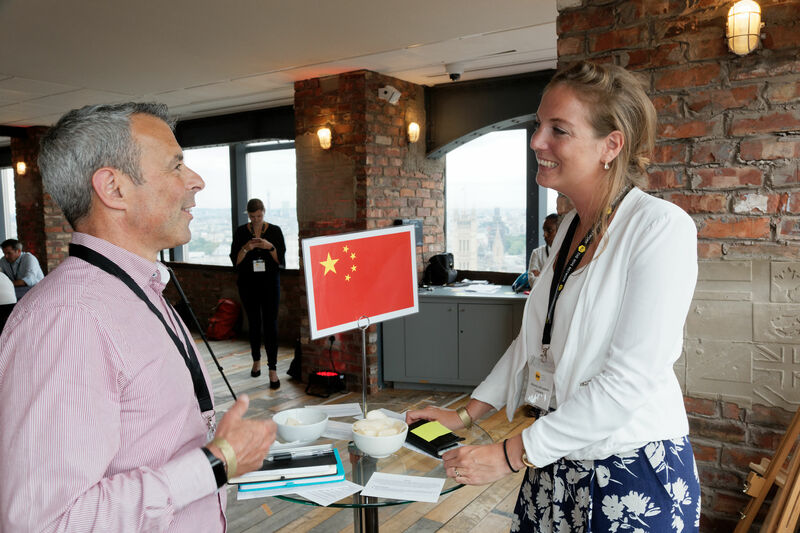 Our Retail Hive members, many of whom are already in China and attended our Cracking International Markets meeting last year, have provided valuable insight with regards to entering China which focuses on three areas; localisation, payments and fulfilment. Understanding the local Chinese market is a vital ingredient for success; whilst you may possess a global brand identity that you do not wish to dilute, employing local experts who can direct you and your brand through the intricacies of the Chinese culture and local customs could make or break your entry into the market. This is even more important now social shopping is a growing trend, one likely to reach our own shores in no time. When it comes to payment, mobile payment apps have leapfrogged credit and debit cards in China, signposting the way forward for the rest of the world. The success of these consumer-friendly payment methods such as WeChat Pay and Alipay is because they have blended seamlessly into consumer’s lives and the figures prove it with around 700 million active monthly Alipay customers in China, and over one billion WeChat Pay customers. By contrast, Apple Pay has only 127 million customers worldwide, even though it is installed into every iPhone. Our retail members who are in China strongly recommend working with partners who can support the full payment flow and have experience in the Chinese market, such as Adyen. Fulfilment is, of course, a vital part of every brand’s overall proposition. Before entering China, retailers must understand the implications regarding tax and legislation when exporting products as well as the importance of being able to provide a consistent and unified experience regardless of whether the consumer is in-store, on social channels or a mobile app. From speaking to our members, the general consensus is you must engage in local partnerships in China to nail your fulfilment process such as using export agents or distributors. China’s EMS tracking service is well built for optimising savings and also removes the complexity of commercial shipments. Furthermore, duties are only payable if parcels are stopped and only around 5% of parcels get stopped and checked. However as always the devil is in the detail and your fulfilment strategy must be planned and executed with meticulous precision. But as an international retailer you will certainly need local expertise and guidance; engage with trusted partners and identify authentic influencers and key opinion leaders to help you make inroads. You will also need time; it will not be a quick turnaround but one which could give you huge successes in the long run. One approach adopted by some retailers is taking full advantage of the fact that the Chinese like to travel and with over 300,000 high-spending Chinese tourists set to visit the UK this year, introducing WeChat Pay in your store could be the start of a long and lucrative relationship. If you’re a senior retail leader and would like to find out more about The Retail Hive, including our forthcoming Cracking International Markets meeting which will explore all areas of entering new markets including China, on 10th July 2019 in London, click here to register your interest.